Galway, to the surprise of many visitors, is not just a lively cosmopolitan city but it’s also a large county with stunning scenery and a ‘must see’ for any visitor wishing to experience a breath of what Ireland had to offer. County Galway is the fifth largest county on the island of Ireland and over a quarter of a million people live within its boundaries. Between thirty to forty thousand of those residents are primarily Irish speakers. Galway city has two large degree awarding colleges, with over 25,000 student populating the city from September to May each year. When the students leave, the visitors take over and the months of May to September see the city heaving with visitors. It’s not just international visitors that come to Galway City, It’s a favpurite destination for the Irish, especially for the Galway Races in late July. In fact the Galway Race week could legitimately claim to be Ireland’s foremost National Festival. Visitors to Galway City come for the bohemian atmosphere, the arts, the influence of Irish language and literature and the incredible atmosphere and in the pubs and restaurants of the Quay Street area. If you wish to see the Irish ‘at play’ go to Quay Street. 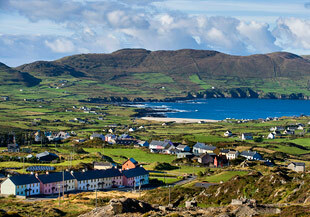 Roundstone: If you dream of experiencing a lovely Irish coastal village then Roundstone is the place to go. 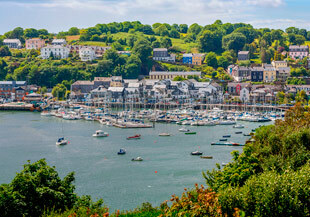 Set in breathtaking scenery, this village and the surrounding vista is absolutely gorgeous. A short half hour drive from Clifden, the road to Roundstone via Ballyconneely is also a treat. 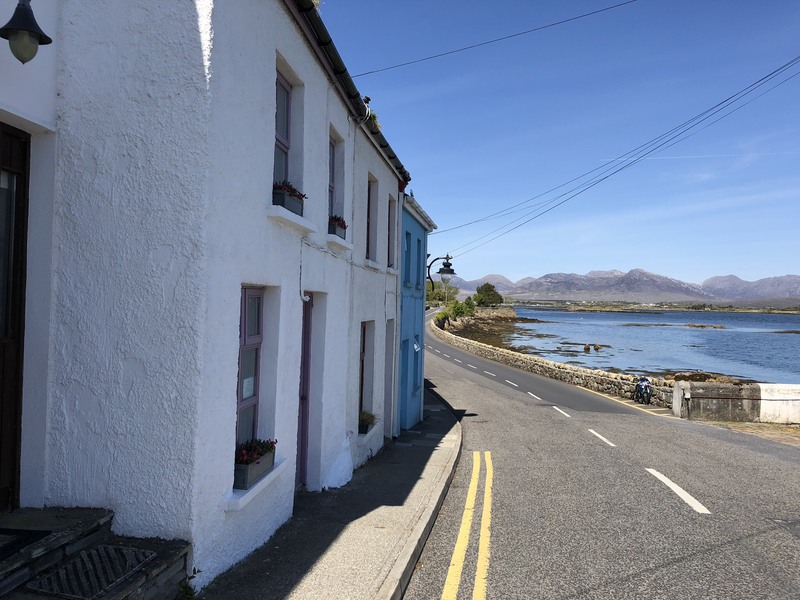 Roundstone is a place to stop, walk the village, walk down to the pier, soak in the atmosphere and have a drink or a coffee. Roundstone is by far my own favourite village in Ireland. 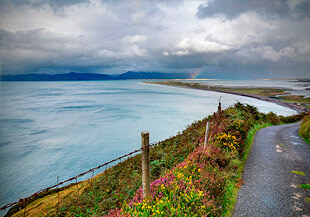 The Sky Road: a narrow coastal round starting west out of Clifden, the Sky Road Drive is not to be missed. At several points you will experience stunning Atlantic views. Not suitable for buses and a challenge to drivers unfamiliar with Irish roads, it’s a must see in West Galway. 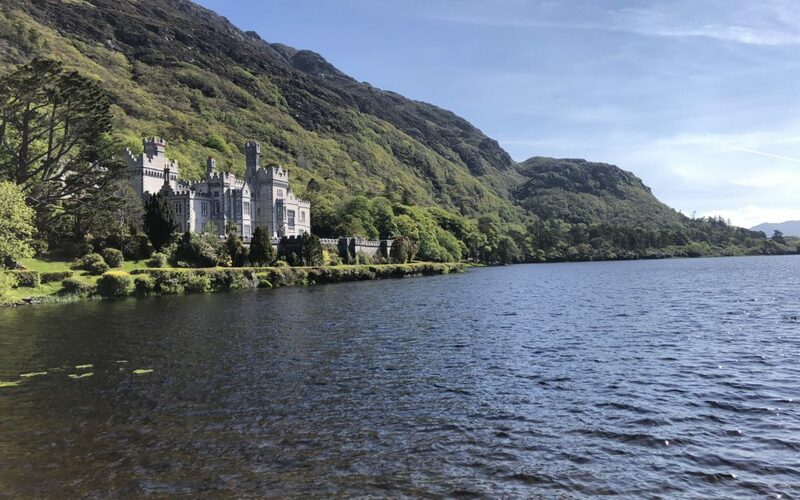 Kylemore: Originally a Manor House but converted into a school by the Benedictine Order of Nuns, Kylemore Abbey and it’s surrounds is breath taking. The school no longer operates and therefore the property and its nearby gothic church and walled gardens is open to visitors. A high quality restaurant is also on site. Again a must see if touring in Galway. The short list above is only a brief summary of what West Galway has to offer. Other beauty spots include Leenane, The Inagh Valley, the coast Road west of Galway and Connemara National Park. 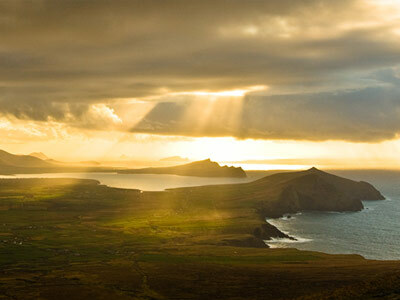 This area is also the gateway into County Mayo, in particular Westport, The Doolough Valley and Achill. Overall, if planning to tour a good portion of Ireland, you must tour West Galway.